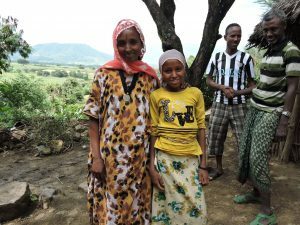 Debra D. Kerby, President & CEO of Canadian Feed The Children, wrote the following after hearing from community members in Ethiopia about their fears and hopes for their futures after the severe drought of 2015/16. Imagine for a moment that you are sitting on the floor of a small house made from mud, with the smell of woodsmoke hanging in the air. Children sit around you – curious about their new visitor – as their mother stokes the fire so she can put on a pot of water to boil. “The drought was very catastrophic. Our whole neighbourhood here was affected,” you are told. You look around at the children’s faces, and try to imagine what this past year must have been like for them. “When the dry season comes again, we fear water shortages,” they say, explaining that they have not recovered from the drought and are not ready to take on another season without rain. “I wish that my daughter will be self-sufficient and have a decent life. Not like me, the life I am living is not the one I want for her,” a mother admits, fearing for her daughter’s future. This scene that I have asked you to imagine yourself in is the one that I found myself in while visiting communities we partner with in Ethiopia. I have sat in mud homes just as I described to you, listening to these very stories, and looking into the faces of the women, children and men who shared their struggles and their dreams with me. I heard stories of resilience and perseverance made possible through Canadian Feed The Children’s donors’ support. So many asked me to pass on their expressions of thanks for Canadians’ generosity. But, I also heard the undeniable reality of the devastation caused by drought and the fear families have for surviving another year. The United Nations has called on the international community to stand with the people of Ethiopia and help them through this challenging time. Canadian Feed The Children is ready and able to provide much-needed support – and we do so through our core program work in Ethiopia, and also through the Market-Led Improved Livelihoods in Eastern Amhara Region (MILEAR) project, funded generously by Global Affairs Canada and private CFTC donors. This work has been crucial in saving lives and livelihoods this past year, thanks to support for drought-resistance seeds, training in conservation agriculture, and the provision of irrigation systems. 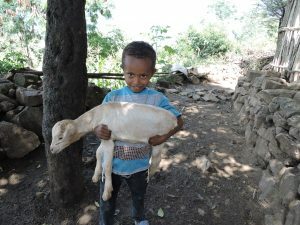 These are just a few specific initiatives that have helped close to 40,000 people avoid another year of complete crop failure and survive despite the drought and heavy livestock losses in some of the hardest-hit areas of Ethiopia. Let me tell you about Fozia – a bright fourteen-year-old girl who lives with her mother and her siblings. Their small home sits on the edge of a mountainside overlooking the valley below them. 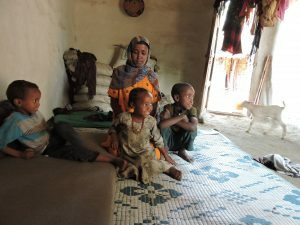 Fozia’s mother Ansha has six children under her care. Ansha loves her children deeply and is determined to provide for them. 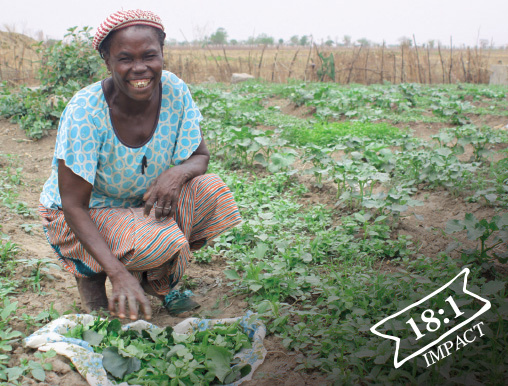 “Losing the crops affected our income and our livelihood. We had to sell our oxen to supplement our expenses,’ she explained to me. It can take farmers many years of saving to pay for an ox – and they are a very important asset because they are used to help plough fields. Without an ox this year to help in the fields, this growing season will be even more difficult than the last for her family. Ansha has also lost many of her goats to disease this year – plummeting the family into further instability. With the whole community suffering similar crop and livestock losses, the price of staple foods has dramatically increased and it has become even more difficult for Ansha to afford to purchase food. Ansha, her daughter Fozia, and her other children face an unsure future, although CFTC is working diligently to ensure they have resources and additional supports. Fozia still has big dreams for herself, telling me she wants to be a doctor one day. Ansha hopes to be able to purchase an ox to replace the one she sold one day, too. I know that there are many more untold stories just like theirs in Ethiopia and in communities CFTC supports in Bolivia, Ghana, and Uganda. I also know that Fozia – and other girls just like her – can have a better future if we work together to address poverty and hunger in their communities. 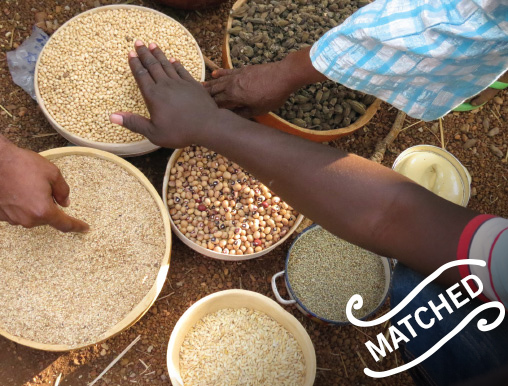 Drought-resistant veggie seeds and supplies help farm families diversify their diets and bring in extra income year-round. 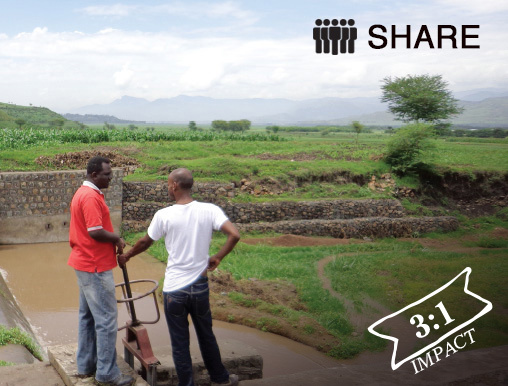 An investment in an irrigation system will get things growing for farming families in Ethiopia – providing increased food for consumption and sale.